One of the problems with buying an Android smartphone is that there is usually no way to tell just how long it will be supported and how long you'll get Android updates. Unless you have a Google-branded device, it's hit-and-miss when, or indeed if, you'll receive an upgrade to the latest and greatest version of the mobile OS. With the impending release of Android O, however, Google is trying out a solution to the problem which has led to endless fragmentation of the Android market. Going by the name of Project Treble, the solution sees Google introducing a modular base to Android. It's described as "the biggest change to the low-level system architecture of Android to date" and it should make it quicker, easier and cheaper for device-makers to roll out updates to handsets in future. One of the things that holds back updating handsets from different manufacturer and carriers is the customization that companies like to introduce. Google may make an Android update available, but carriers then need to take the time to tweak it to suit their needs, and this takes time. Google's solution is to create a modular base for Android that is far more easily updated. 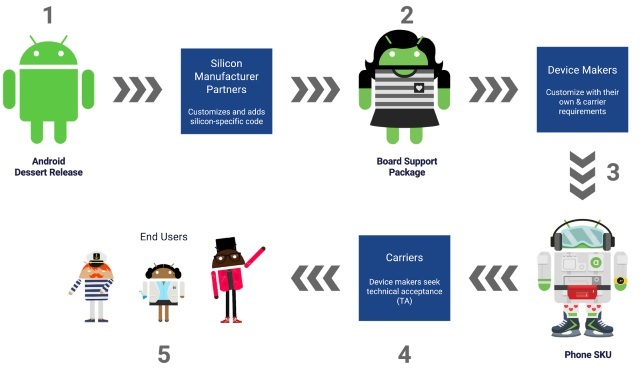 The core concept is to separate the vendor implementation -- the device-specific, lower-level software written in large part by the silicon manufacturers -- from the Android OS Framework.